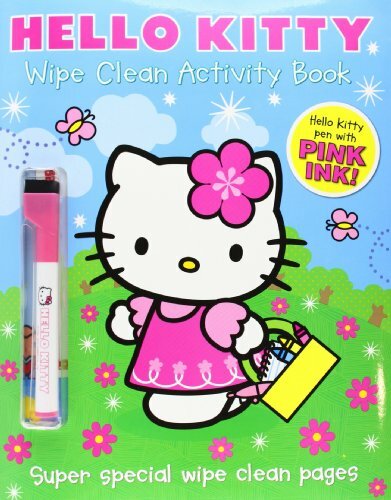 Have hours of fun with Hello Kitty’s wipe-clean activity book. It’s packed with puzzles, games and activities that you can enjoy again and again! Use your special Hello Kitty pen with cute pink ink to complete the pages. Then wipe the pages clean and start all over again. Endless fun with Hello Kitty!